Here is the deal, 46% of Google searches are made with local intent, where the searcher is looking for a business or service near him/her. Also, more than 30% of mobile searches were made before the searcher is visiting a store. Those are just two of the amazing statistics showing the importance of local SEO, in short, if you are a business targeting your local audience, optimizing for local searches is a necessity for success. But, the question is, how? In this guide, we will learn all the ins and outs of local SEO: from its definition to the main principles to know to HOW we can actually optimize our business website and listings for the local search environment. To really understand local SEO, we must first understand regular SEO – the organic SEO. Ensuring your site to be easily indexed by Google. If your site can’t be indexed, it simply won’t rank, period. Optimizing various areas of your site so Google will perceive it as a relevant and credible site. The more credible Google perceives your site, and the more relevant your site for the target keyword, you will rank higher. 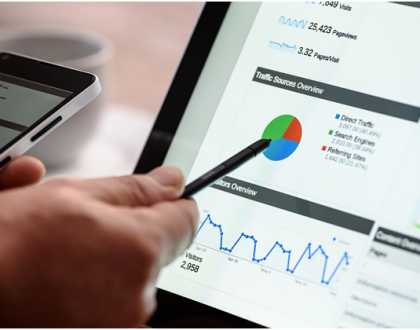 These two will be the most important factors in determining your site’s ranking. However, remember that ranking is not the ultimate goal of SEO, but just a mean to get more organic traffic. There are possible cases where you can rank on top on Google search but don’t get any significant traffic (for example, if you are ranking for keywords with not enough search volume.) This should be an important consideration especially when you are choosing an SEO agency. Creating content that includes the target keyword(s). The keyword optimization should take account of both Google’s algorithms and the human readers. In short, include the keywords naturally in a content that is comprehensive for human readers. Technical optimizations on your site, to ensure your site is indexable and is up to Google’s standard. Getting more inbound links—or backlinks— to your site through various means. That’s it. As you can see, there’s nothing so “secret” about SEO. In fact, it’s not that hard to execute, technical-wise, but will require consistency and hard work. So, what about local SEO? As the name suggest, local SEO is SEO efforts that are optimized to target the local audience. For the past few years, Google had included results from Google Maps for these location-related keywords. Yes, paid ad is still placed above the Google Maps, but it can be very expensive especially for competitive keywords. Besides, people are getting more and more resistant to search ads and advertising in general. No matter how you rank organically for the local keywords, you will still lose to the Google Maps top-3 results. Only the top-3 Google Maps results are displayed before users will need to click “more places”. We call these 3 the Google Maps 3-pack, and will play an important role in local SEO. What do these three mean? Meaning, getting on this 3-pack of Google Maps results should be the most important goal of local SEO. 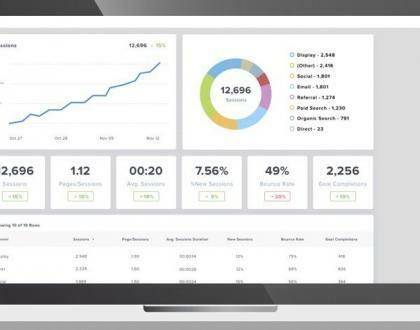 This is where you’ll get the most exposure, that will then translate to more conversions and revenue. Does this mean ranking organically in local keywords is no longer important? Not at all. First, ranking organically will actually help boost your Google Maps ranking. It will also help with conversions, as there are indeed people who prefer organic results. So, local SEO will focus on two things: ranking on organic search for the relevant keywords, and ranking on Google Maps. For the rest of this guide, we will discuss these two aspects one by one. First, we will focus on how we can rank on the 3-pack of Google Maps. Before we can start optimizing to rank higher on Google Maps results, we must first learn about the important factors that will affect your ranking. 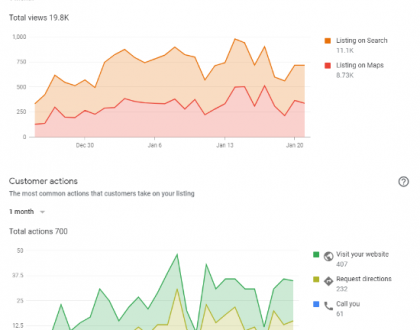 Your Google My Business listing optimizations (more on this below). This will include your business’s location in relations to the searcher’s, keyword optimizations within your listing, usage of categories and attributes, and so on. Citation, which is any mention of your business’s NAP on the internet. So, based on these ranking signals, here are the key things we should do to achieve the Google Maps 3-pack status. We can claim a Google Maps listing by registering for a Google My Business account. Before we can start optimizing for Google Maps ranking, this is the very first step we should do. The main principle here is to fill out accurate and up-to-date information about your business, as complete as possible (we’ll further discuss it in the next sections). Google My Business registration process is fairly simple, and you can simply follow the steps here. Don’t forget to also verify your listing, since if not, you will be locked out from some useful features (i.e., Google Posts). Verified business listings will also get advantages in ranking considerations. You can verify your listing straight from your Google My Business dashboard. In general, Google will send a postcard to your physical address containing a PIN, which you can use to verify your business. Verification via email and phone call are also available for certain business types. NAP (Name, Address, Phone Number): make sure to use up-to-date and accurate information. Also, if you also list your business anywhere on the internet, make sure to use consistent NAP information at all times. An important thing to note is not to use a virtual office address. In such cases, use your home address instead to follow Google’s guidelines. Business Category: you will need to choose just one primary category, so choose the most appropriate one for your business. You can then choose subcategories, which can be a great chance not only to further optimize your listing, but to attract a wider audience. Website URL: use a valid website URL, Google will crawl your site to determine your listing’s relevance, and so will affect your ranking. Business Hours: make sure to include accurate business hours. Google does offer the option where you can add special hours, where you can input irregular business hours such as weekends, holidays, or special occasions. Attributes: here you can list special features offered by your business, such as your crowd type, business highlights, atmosphere, and so on. This is not only a great chance for local SEO optimizations but to also attract more customers. Description: the general consensus here is that Google My Business description is not a direct ranking signal, so keyword stuffing is unnecessary. Your focus here is to write a comprehensive description to attract your audience. As previously mentioned, the quantity of positive reviews is a very important ranking signal for Google Maps ranking. There is also another obvious benefit of having more positive reviews: nowadays more and more read online reviews before deciding on a purchase, and this is especially true for consumers looking for a local business. If you don’t work to get more reviews, you are hurting your conversion rate. Offering incentives. Fairly self explanatory. You can offer various incentives depending on your business types to encourage reviews. For example, if you are a restaurant, you can offer discounts of free desserts in exchange for a Google Maps review or even a post on Instagram about your business. This can be a tricky process, however, so make sure to offer incentives that align well with your brand and yet are interesting enough for your consumers. You can mainly ask through email or in-person, depending on the occasions. Responding to online reviews. One of the best ways to encourage more reviews is to respond to existing ones. If you frequently respond to existing reviews (even and especially the bad ones), people are more likely to leave their reviews because they will perceive your business as responsive, where their issues with your product/service will be addressed (and positive feedback will be appreciated. The first thing to do is to discern between valid negative reviews and fake ones, as they are often mixed up together leading to improper handling. Check for the user’s account (is there any profile photo, is it a newly made account, etc. ), and check the issues mentioned within the reviews whether they are valid. If you have sufficient proofs, you can ask Google (and other review platforms) to take down these fake reviews. You might also want to take legal actions depending on the situations. Handle bad reviews quickly and politely. Don’t offer promises you can’t deliver. For example, if the review involves issues without any viable solution yet, you should say something along the line of “we are currently working on the issue, and we will get back to you shortly” (and do go back to them when a solution is available, the faster the better). If it is a valid negative review, remember that usually there’s a valid underlying issue. If you don’t treat this problem, you will keep getting the same negative reviews over and over again. The long-term solution is to fix this problem. Citations, as we have mentioned above, are any mention of your business’s name, address, and phone number (NAP) on the internet. In regards to Google Maps ranking, we should especially focus on “structured” citations, where the NAP information is presented in structured manner visually. Also, remember that only text-based NAP information will count and not image-based ones. It is one of the strongest factors affecting Google Maps ranking, as well as organic ranking. When you have a lot of (and consistent) NAP information throughout the web, Google will perceive your business as a relevant one.Consistency is also very important here, as inconsistent information that can mislead your audience can significantly hurt your ranking. Conversions. Remember that people are not solely looking on Google when looking for new places, they also look on online directories, Facebook, and other places. The more NAP you have listed, the more chances you have to get new prospects and customers. There are two main ways to build local citations. First is to get relevant sites, blogs, media, and so on to mention your business. Obviously, this approach can be easier said than done especially for newer businesses. You should, however, aim to continuously build relationships with local media, influencers, authorities, and so on for long-term benefits. Google My Business: Your GMB listing is technically a citation, and also the most important one. Major online platforms and directories like Facebook Places and Yelp, among others, are your next priorities.You can start from the ones included in this list. Then, you can go for other online directories. Check out this list and this list for citations by category and city, respectively. Don’t forget your own website. Make sure to use text-based NAP information on your own site which is visually structured and consistent with all your other citations. Remember that not only the quantity of your citations is important, but also consistency. If, for example, you just changed your business address, you will need to update all of these listings. Check out this guide on how you can do a citation audit regularly and properly. To rank organically for local keywords, generally we can follow similar approaches to organic SEO. So, you might want to check out our previous guide for organic SEO here. However, there are also some unique approaches that will only apply to local SEO, and although optimizing your website for SEO is a pretty broad subject on its own, here are some of the key areas you should optimize. Local content is not only about filling your content pieces with local-related keywords. In fact, you should avoid over-optimization (keyword stuffing), as you can get penalized by Google for such practice. Instead, your focus here is to create content pieces that can attract the local audience: be the local reputable source and authority that can attract a wide crowd. Your approach can vary depending on your industry/niche among other things. For example, you can share news about local events and gatherings, local industry news, or similar approaches. Don’t focus on selling your products, but focus on attracting the relevant audience. 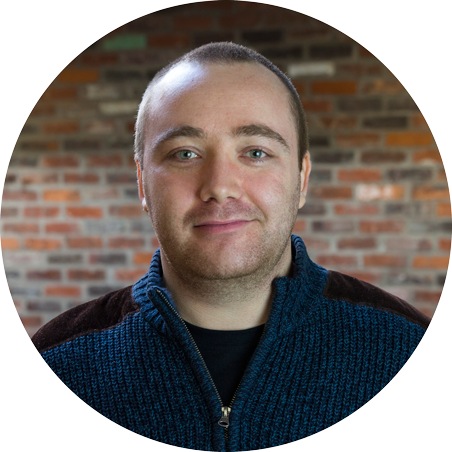 You might want to learn about top of the funnel content to help you in this aspect. Technical (on-site) SEO optimizations is a pretty deep subject on its own, and you might want to check out this technical SEO checklist to help you. Mobile-responsiveness. Use Google’s mobile-friendly test to assess your site and optimize accordingly. Load speed. Slow load speed can affect bounce rate. These tips can help you get started on this aspect. This is relatively unique for local SEO purposes. 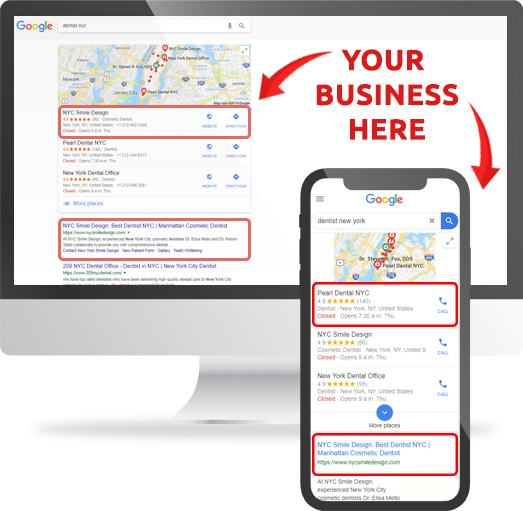 Embedding your Google Map location on your site can significantly help your ranking, especially if you also have a Google My Business listing with similar location. If you have more than one physical business locations, you should create different pages for each location, each with information like NAP, business hours, unique store features, and so on. Backlinks, or inbound links, are the backbone of organic SEO: the more inbound links you have, the more relevant your site is in the eyes of Google. Publishing amazing content. If your content is valuable and relevant, people will naturally link and share it. So, content marketing should be your core of backlinks building. Building relationships. Build relationships with authority sites, social media influencers, and media. You can do this via guest posting and influencer outreach among other approaches. For local SEO, you should also focus on getting backlinks from sources of local authority. This can include local influencers (elected officials, local celebrities, etc. ), local-focused sites and blogs, and others. Local SEO, as we have discussed, have two different focuses: ranking on Google Maps or Google My Business, and ranking organically for local keywords. Both require different approaches, but are closely tied not only for ranking purposes but for conversions. Remember that local SEO is a long-term game that will require an expert approach. Continuously monitoring your progress and auditing your citations are the key in achieving local SEO success.